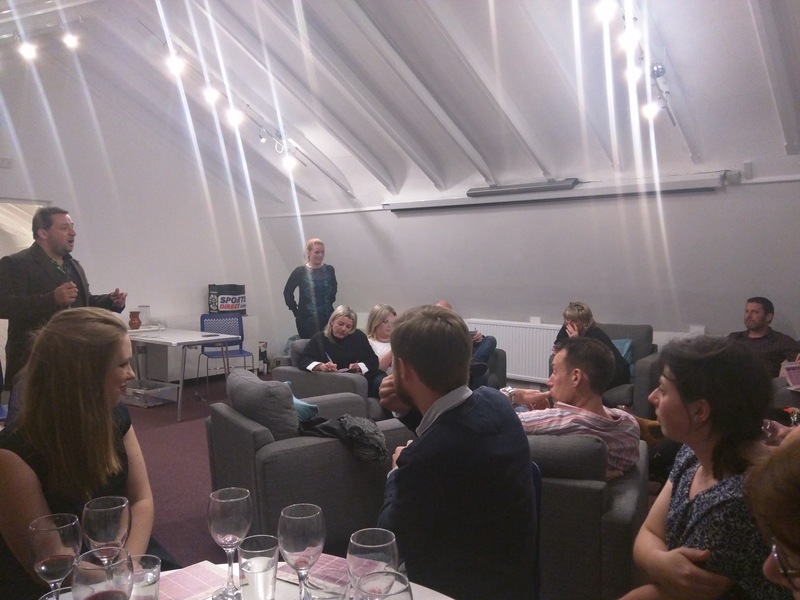 We Are Chester’s James Wright tries out a wine tasting event with a difference in Chester. Photos courtesy of James Wright. So, I know in the past I have done a real ale tasting event at The Botanist in Chester (the review of which is still available for a read, should you wish to know more), but this time around, I was forced out of my alcohol comfort zone, as it were. Buried away, deep in the heart of Newtown in Chester, lies the Christ Church Mission House. Within this otherwise unassuming exterior lies what could best be described as an adults’ youth club, if that makes sense. White walls, with the occasional bit of artwork dotted around, makes the whole place feels a lot less like somewhere you would go to try some wine, and more of, well, I don’t really know. And likewise, I did not know what to expect when I entered for the inaugural Suspicious Wines monthly wine tasting event. Set up by PE teacher Steve and his wife Fran, Suspicious Wines is a pipe dream the couple had been toying around with for a number of years, in between the school runs and their day jobs. They realised how niché the whole thing was from the early days – they even sought feedback from a few bloggers/self-appointed wine event connoisseurs, who thought it a novel idea. Surely though, that must be a good thing? Suspicious Wines describes itself as the “home of the blind wine online tasting challenge”, and I bet you can picture all sorts of weird connotations from that description. Think of it this way, it’s set out in a pub quiz manner, with our host with the most Steve asking us to guess a little more on the mystery wine currently swirling around our mouth; where we thought it came from in terms of continent, the country, whether it was a single or blended variety, the grape varietals, and finally what we personally thought of the wine. For every correct answer of the four categories, we earned a point (points are not given out for our preferences of course). The wine drinkers among you would probably be thinking “ha, that’s easy, beer boy! Where’s the challenge?” Well, that’s all part of the fun, isn’t it? With nothing to go on other than your eyes, ears, and tongue to distinguish a Shiraz from a Pinot Grigio, are you up to the challenge? 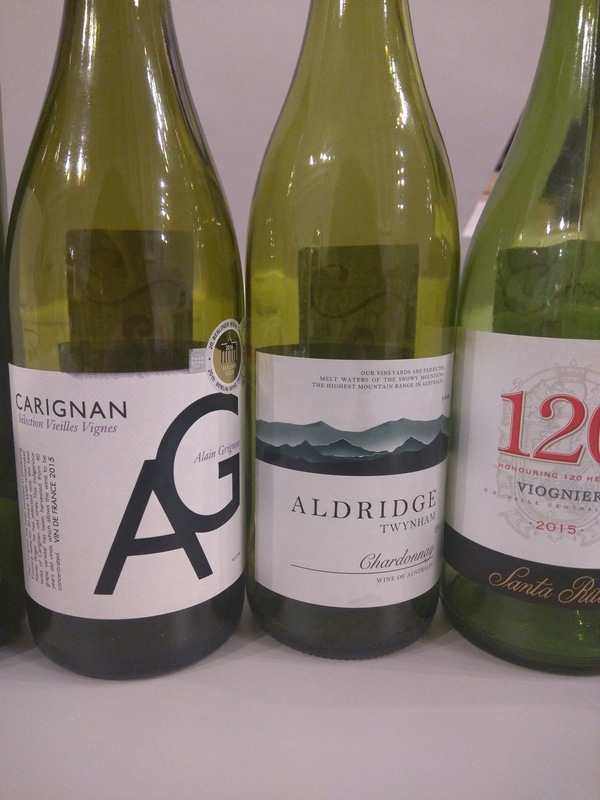 The wines themselves were met with mixed responses throughout the night. The first wine was disliked by our whole table. I should probably mention that, much like a pub quiz, you are situated around a room with fellow tasters as you all try to guess the answers correctly. We all thought the wine was dry (I don’t know the difference here I might add, so I am merely going off what my more esteemed colleagues were saying), yet not over-powering. One of our newly-made friends said she thought it tasted like an Italian wine, and she doesn’t like Italian wines. I think she may be related to Sherlock Holmes somewhere along the line as that bit of deduction work was spot-on – a Brucie Bonus to start her night off! The second wine was preferred across our table, with many of us rating it between a 2.5 to a four out of five, while the first wine scored between one and two in our ratings. The first three wines we tasted were white and the last three were reds, meaning you had a healthy dose of both types of grape. Hey, you gotta get that five a day somehow, am I right? Out of a possible eight points by this stage, I had scored three. I wasn’t doing We Are Chester proud by this point, sorry Angela (We forgive you James! Ed). The third and final white wine had a fizzy aftertaste, an opinion that was met by myself and my new best friend from the evening. Now, again, I clearly know next to nothing about wine, but I’m sure that it being fizzy is not a good thing? Still, despite this fizziness, I scored it a 3.5, and it actually turned out to be my favourite of the night. I’m not sure what that says about me though. Next, we moved onto the reds, much to everyone’s approval. The first of this group of wine and fourth of the night was described by my colleagues as “not being smooth enough for a Zinfandel” and left a sour taste on our palettes. We scored it accordingly. The fifth and penultimate wine of the night was described as being vinegary and was disliked by myself so much that I scored it a measly 0.5 out of 5. But what do I know? By this stage in the game, I had amassed a whopping 4.5 out of 20. It may seem pathetic but my girlfriend who accompanied me on the night only scored a four, and she does drink wine. We all had high expectations for the final wine. We thought that surely this would be a 5* classic. Maybe a Chateauneuf du Pape or other really classy wine to finish us off for the night? 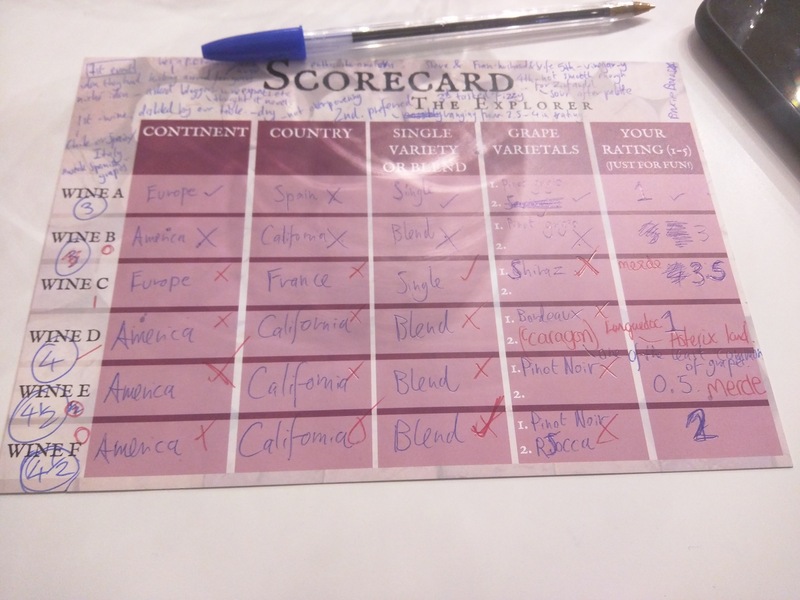 I can tell you that it most definitely was not a Californian blend (by this point I was completely out of guesses and couldn’t copy my partner’s answers as she didn’t know either), but it did fare better than the last two reds, scoring two out of five from myself personally. And the score on the door at the end of the night for We Are Chester stands at 4.5 out of 24. I failed miserably. But the evening didn’t. If you enjoy your wine, or you just really enjoy the company of others, this event is a must. 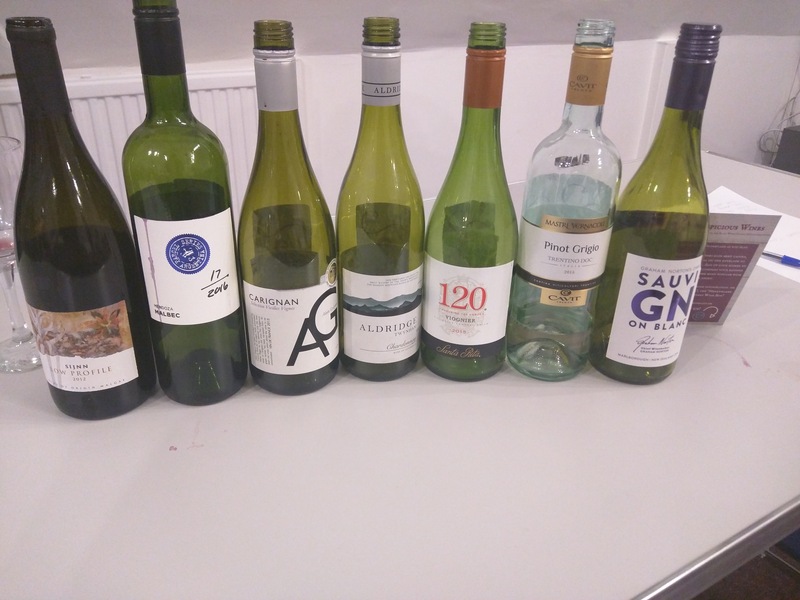 For only £15, you get six wines, plus a welcome drink, the great company of fellow event goers (we had such a good time thanks to the participants on our table), and the warm, welcoming presence of Steve and Fran. 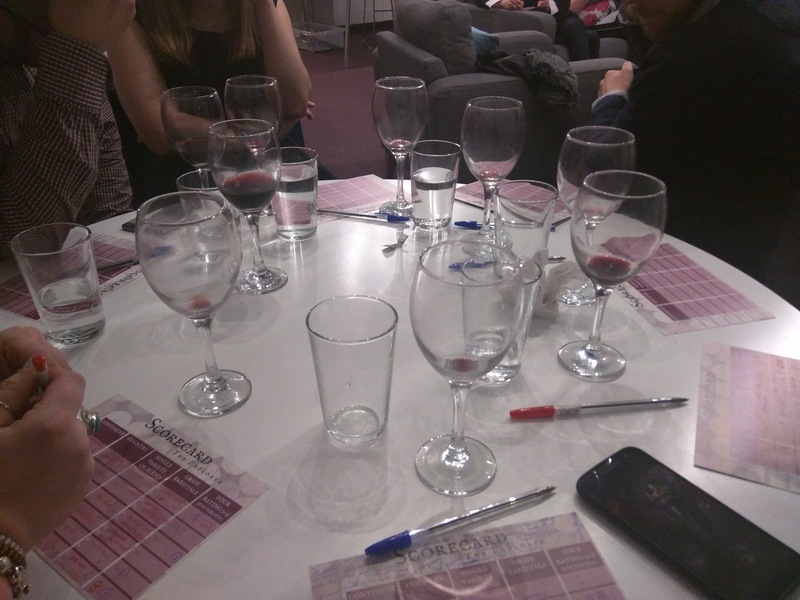 Plus, did I mention, you get seven glasses of wine for £15! This was the first mystery wine tasting event for Suspicious Wines, but it certainly won’t be the last, and I’m glad about that. So glad in fact, that I intend to come along to the next one too. Steve and Fran, you might have converted me. Next time though folks, we all made a deal on the night, they’ll supply the drink if we supply our own nibbles. So if you intend to come, bring some cheese, crackers, biscuits, pork scratchings, whatever you fancy alongside your wine. The next mystery wine tasting event will be held on 11 May. The event starts at 7.30pm, with the welcome drink served at 7.45pm. The game kicks off at 8pm and lasts around an hour and a half to two hours. For more information, check out www.suspiciouswines.co.uk, or follow them on social media, including on Facebook, Twitter, and Instagram.